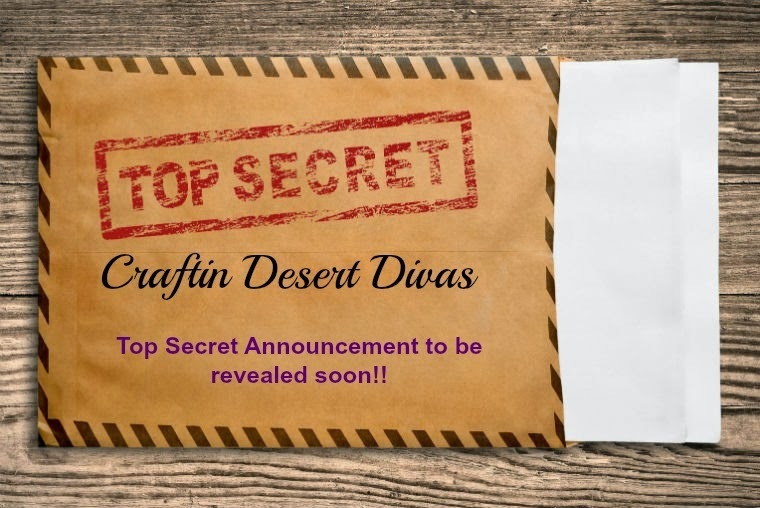 Craftin Desert Divas Blog: Top Secret Giveaway!!! Top secret announcement soon!!! Wanna win a fantastic prize? Hop on over to Craftin Desert Divas Facebook page. We are doing a like, share, comment give away!! The prize will be a top secret prize. Who doesn't love surprises??? ?